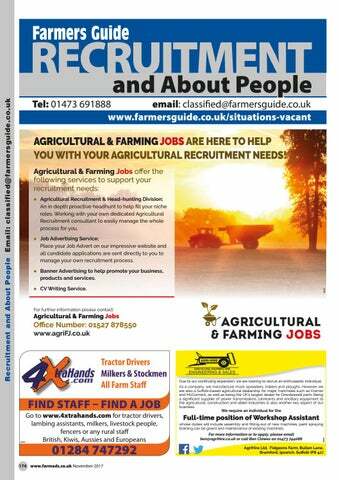 AGRICULTURAL & FARMING JOBS ARE HERE TO HELP YOU WITH YOUR AGRICULTURAL RECRUITMENT NEEDS! 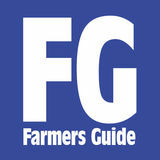 Agricultural & Farming Jobs oﬀer the following services to support your recruitment needs: Agricultural Recruitment & Head-hunting Division; An in depth proactive headhunt to help ﬁll your niche roles. Working with your own dedicated Agricultural Recruitment consultant to easily manage the whole process for you. Job Advertising Service; Place your Job Advert on our impressive website and all candidate applications are sent directly to you to manage your own recruitment process. Banner Advertising to help promote your business, products and services. Due to our continuing expansion, we are looking to recruit an enthusiastic individual. As a company, we manufacture muck spreaders, trailers and ploughs. However we are also a Suﬀolk-based agricultural dealership for major franchises such as Kramer and McCormick, as well as being the UK’s largest dealer for Dowdeswell parts. Being a signiﬁcant supplier of power transmissions, lubricants and ancillary equipment to the agricultural, construction and allied industries is also another key aspect of our business. Full-time position of Workshop Assistant whose duties will include assembly and ﬁtting-out of new machines, paint spraying (training can be given) and maintenance of existing machines.